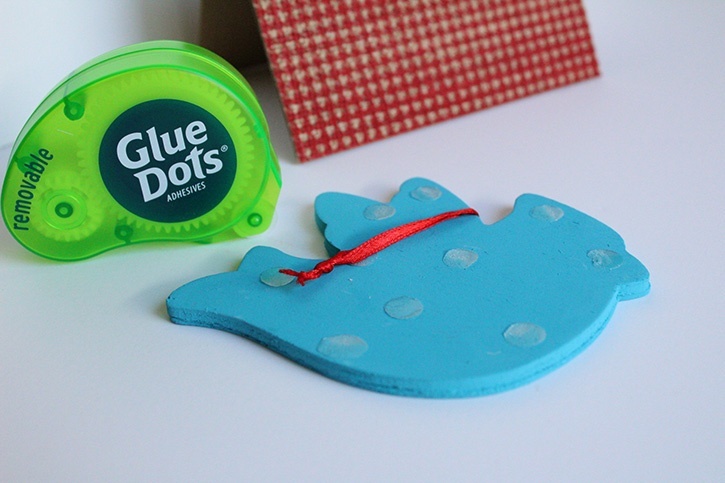 Design your own ornament and temporarily display it on a card with Removable Glue Dots®. 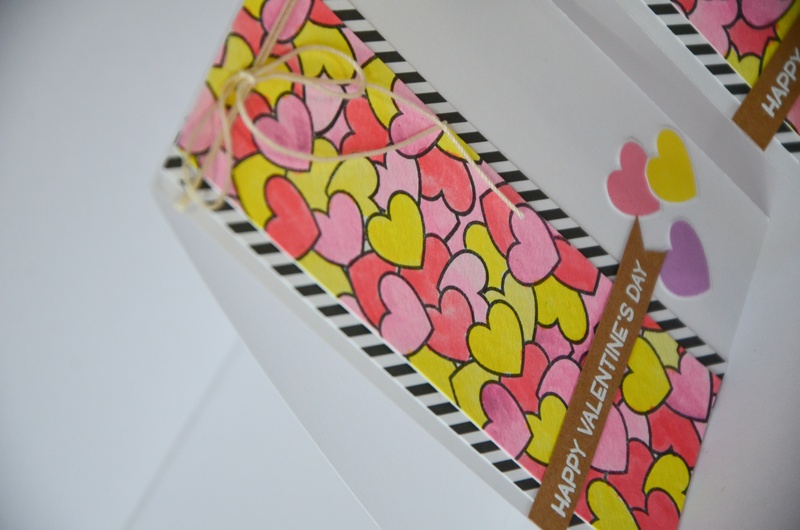 It's a gift and a card in one project! 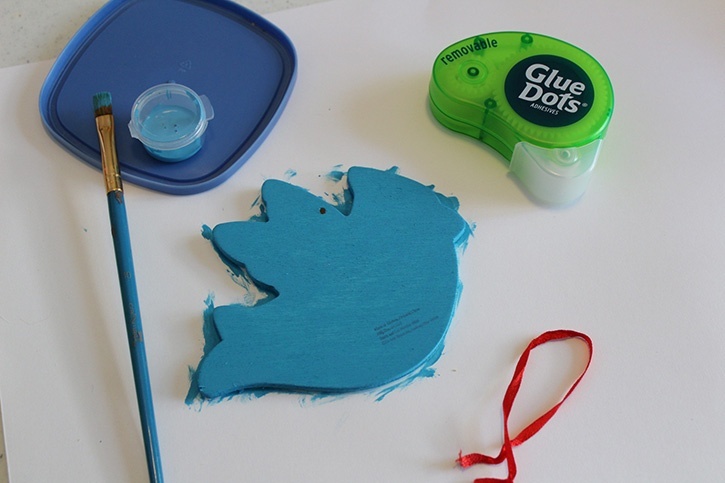 Remove ornament's ribbon and use Removable Dots to keep ornament in place when painting. 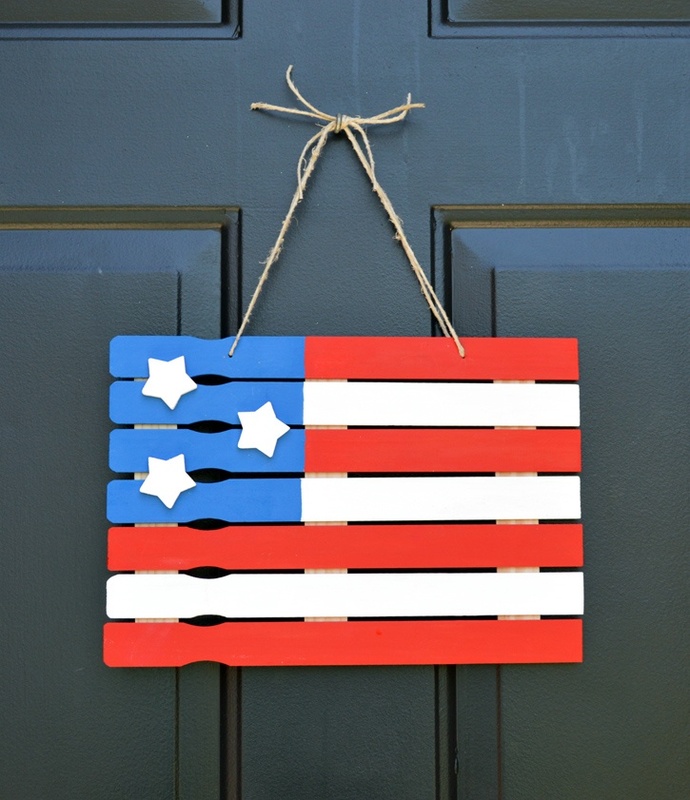 Mix glitter with red paint for textured appearance. 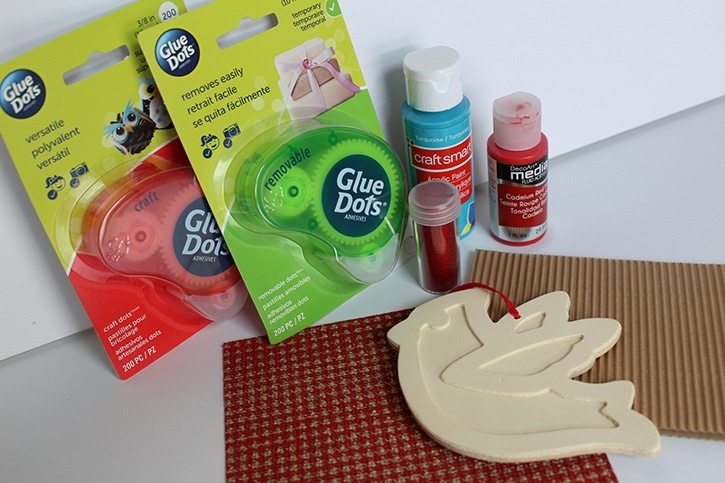 Apply 2-3 coats of acrylic paint to wood ornament. Let dry in between coats. 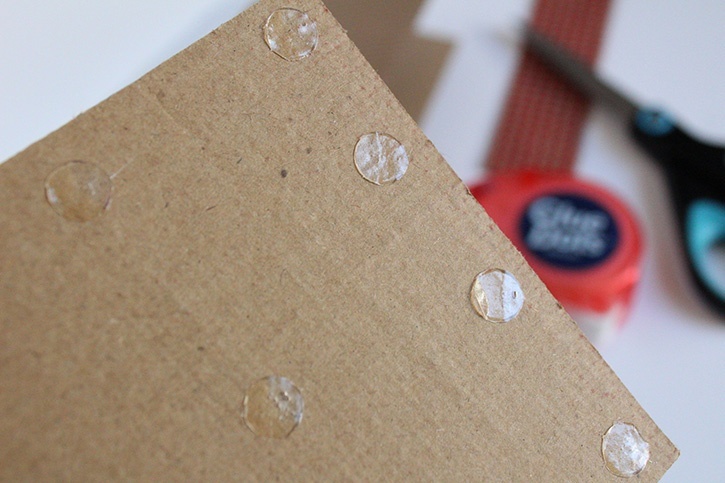 Cut burlap to fit front of card and attach with Craft Dots. 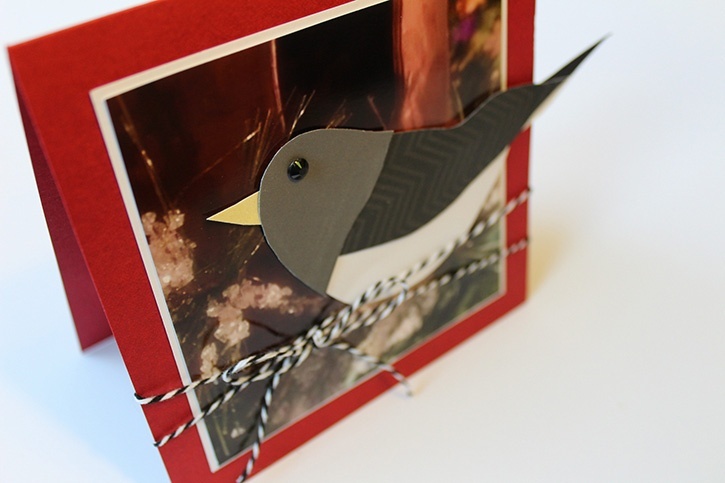 Insert ribbon into ornament and tie a knot. 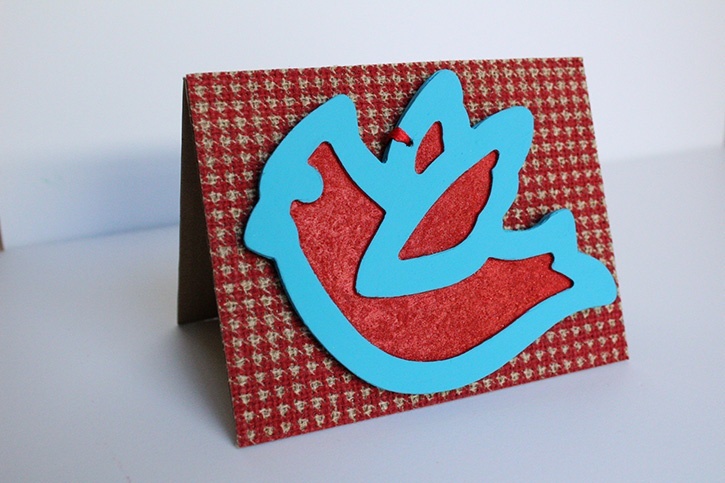 Attach ornament to the front of the card with Removable Dots.